Check out the new 2019 Jeep Renegade Limited 1.6 120hp TD! 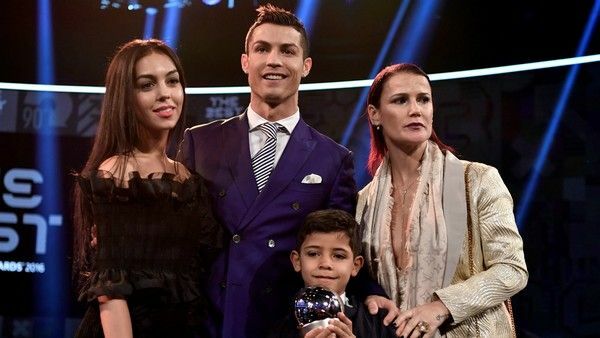 Cristiano Ronaldo house and car are long recognized for their extravagance but that’s not all about this renowned footballer. Check the post below for latest salary! 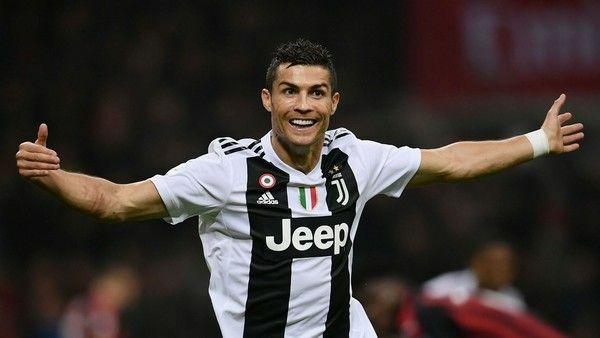 Cristiano Ronaldo, or commonly known as CR7, is playing forward for Juventus Italian FC and simultaneously the caption of Portugal national football team. Besides extraordinary sports talent, Cristiano Ronaldo house and car are also admired worldwide for their extreme luxury. Ronaldo started his career at Andorinha, Nacional and then Sporting CP. After that, he moved to Manchester United in 2003. His transfer from Man U to Real Madrid later was the most expensive at that time with £80 million (~₦37.4 billion). In 2018, this man was once again transferred from Real Madrid C.F to Juventus with a whopping fee of £100 million (~₦46.7 billion). Cristiano Ronaldo is now 34 years old. The Portuguese footballer was born on February 5th, 1985 in Madeira. No one knows for sure the number of girlfriends Ronaldo’s had, and he hasn’t got any wife yet, so this figure may climb quickly over time. The list below are just for the most stunning wags of this football star. We’re done for warm-up, now stay focused to count how many cars Cristiano Ronaldo have in his garage! Undoubtedly, that’s the famous $3-million (~₦1.1 billion) Bugatti Chiron. Just 2 weeks after buying the Ferrari F12 TDF, the Portugese player has spent £2.2 million on the new beast from Bugatti. Ronaldo's Bugatti Chiron can speed up to 420 km/h and accelerate from 0 to 100 km/h within 2.5 seconds. In particular, the new car has his name CR7 embroided on all the seats. The Portuguese star is passionate about cars. His car collection which features about 20 cars undoubtedly includes full of luxurious models. 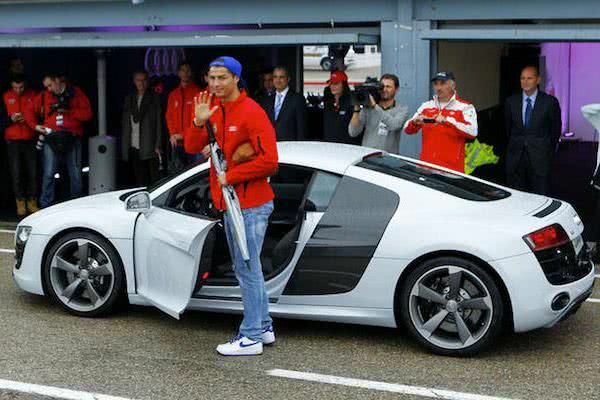 Let’s see in the list of the most luxurious cars of Cristiano Ronaldo below. This Mercedes-Benz marked a turning point in Ronaldo’s career when he was laying the first foundation of a decorated career in great English club Manchester United and carried Portugal to the Euro’s final match in 2004. At that time, Ronaldo, who was only 19, paid 23,000 euros (₦9.1m) for this model. After finishing the 1st season with the giant club, Ronaldo had a plan for another Mercedes-Benz. This time he bought the C220 CDI (2004) for 29,000 euros (₦11.4m). 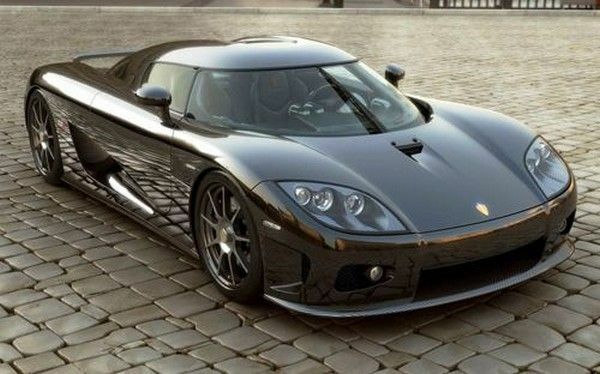 Ronaldo had been spotted many times driving this supercar on streets of Manchester in his time at the former club in 2008. 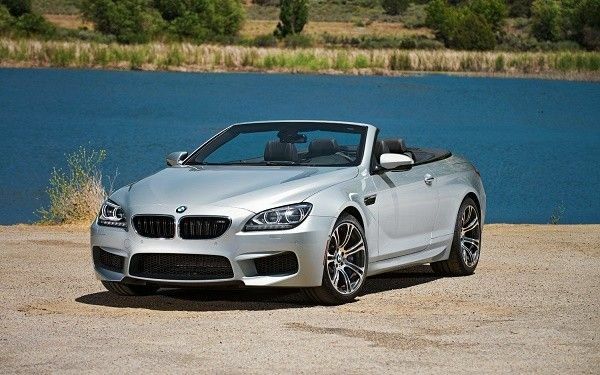 To own the BMW M6 2006 with the top speed of 330 kph, the superstar had to pay 94,000 euros (₦37.2m). The superstar made his way to another great club in 2009. When joining Real Madrid and continuing to further decorate his already-decorated career, Ronaldo chose Bentley Continental GTC (2007) to set a new milestone in his life. 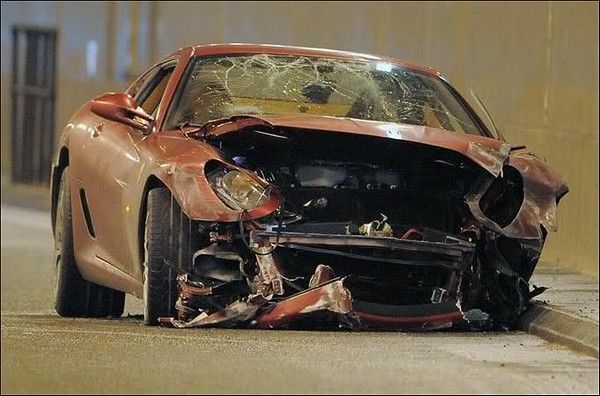 The car cost him 170,000 euros (₦67.3m). 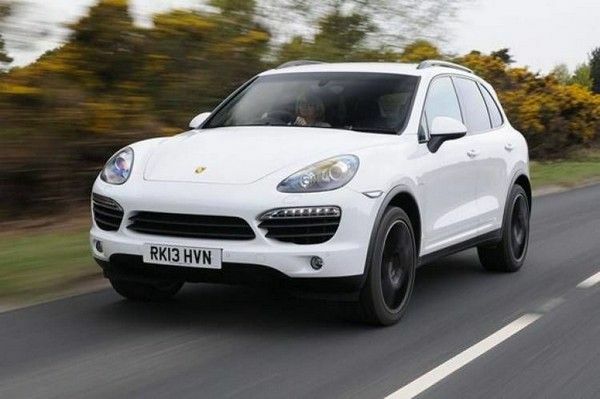 Compared to other cars in his garage, this Porsche Cayenne seems rather inexpensive with the price of 80,000 euros (₦31.7m). Shortly after crowning the Champions League Cup with Manchester United in Moscow, the Portuguese star bought himself this supercar. Later, he crashed the model in a tunnel in Manchester. 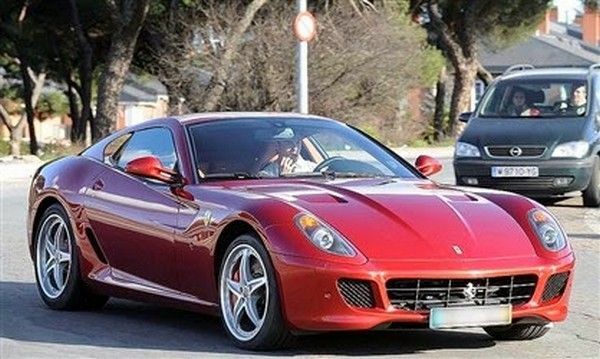 Instead of laying faith in the maintenance service, he bought another 599 GTB Fiorano which was about 360,000 pounds (₦142.5m). In his car collection, this may be one of the largest cars. This was also the vehicle that accompanied him to the red carpet where he earned his first Golden Ball in 2008. This is the 2nd Ferrari Ronaldo has bought. This car features the ability to reach a top speed of 315 kph and accelerating from rest to 100 kph in 4s. Ronaldo had to pay 217,000 euros (₦85.9m) for it. To have this Bentley which churns out 610 HP, Cristiano spent 159,000 euros (₦62.9m). The next convertible was often seen driven by Ronaldo on streets of Madrid after he had completed a contract to play for the Spanish giant. This Aston Martin DB9 was the model he owned since time in Manchester. This luxurious model cost him 135,000 euros (₦53.4m). With the top speed of 402 kph and the cost of 391,000 euros (₦154.7m), this is one of the fastest models in the world and undoubtedly one of the fastest forwards wouldn’t miss a chance to have it. Real Madrid and Audi keep a close relationship in business. Therefore, it comes as no surprise Ronaldo adorns his garage with a lot of vehicles from the German brand. 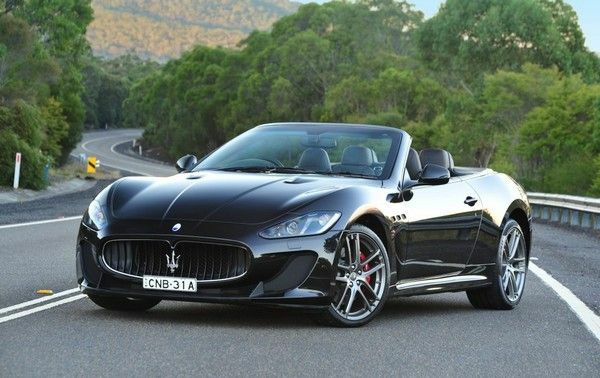 After the shootings of the Maserati GranCabrio advertising and completely conquered by its charm, Ronaldo spent only some days to bring it home with 150,000 euros (₦59.3m). 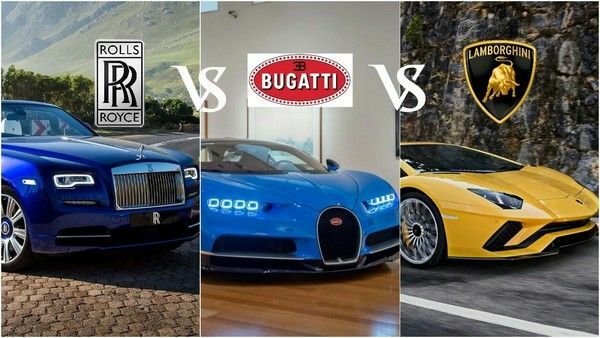 There was a commercial with the co-operation with Bugatti in which CR7 competed against Veyron on a race. It seems like he successfully tamed the speed beast when it was seen parked in his garage. Just look at its shine and guess its price! Ronaldo proved he was really quick in the auto market news when paying a deposit for this limited edition model of Ferrari. 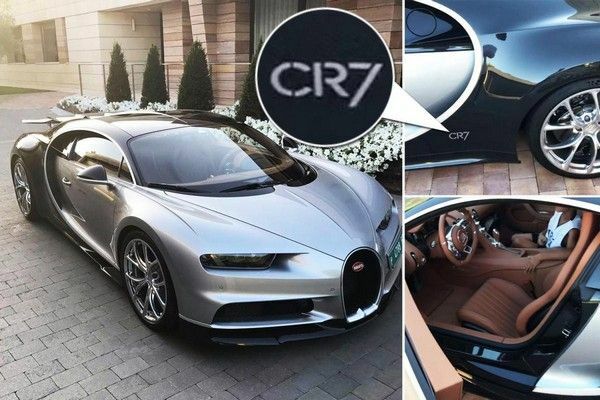 When asked about the Phantom and a football star, many will associate it with David Beckham but not many know Ronaldo also has one for himself which cost approximately 410,000 euros (₦162.2m). When the sportsman bought this car, he did not use it often in Madrid. Still, the Spanish paparazzi found ways to discover it in his garage. Lionel Messi house and cars & where he lived before famous? Cristiano Ronaldo net worth is estimated at $450 million (₦164.5 billion). The striker has earned $108 only in 2018, with $61 million from football and the rest $47 million from endorsement. Ronaldo is listed the highest-paid star in Serie A players. The striker is earning $36 million (~₦13.2 billion) per season in his current Italian club. Watch how he spent his money in 2018! For your information: there’s an entire website just to compare Messi vs Ronaldo index. That is to say how hot this topic is and the whole world is watching closely the steps of these two legends. If considering the earnings of Messi and Ronaldo in 2018, the Portuguese footballer stays a bit lower than his Argentine friend. But if we are talking about their net worth in total, CR7 is no doubt the richest football star ever. 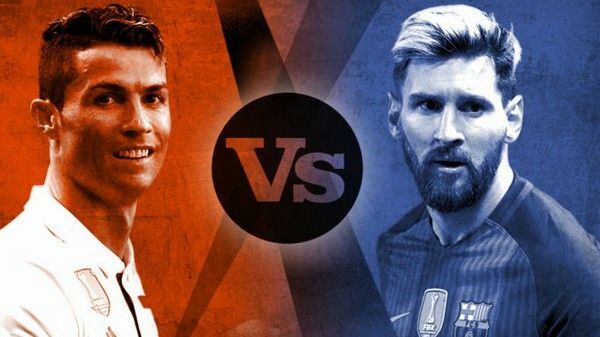 For more comparisons on Messi cars vs Ronaldo cars, their houses, their WAGs or their salaries, click on the link to read our previous article on this topic. Leaving Real Madrid to Juventus means CR7 has to say goodbye to his luxury mansion in Spain. The striker has already announced his house for sale with the price of ₦8.3 billion. Before that, Ronaldo used to live in Alderley Edge mansion when playing for Man U. The villa was later sold at ₦1.5 billion. 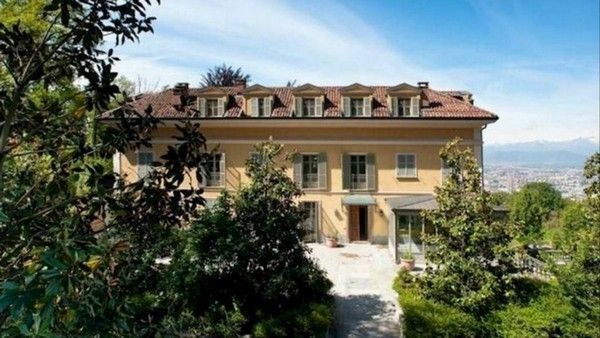 At present, Cristiano Ronaldo has settled down at a private double villa in Turin. Reports have it that CR7 has spent $50,000 (~₦18.3 million) per day to rent this accommodation. 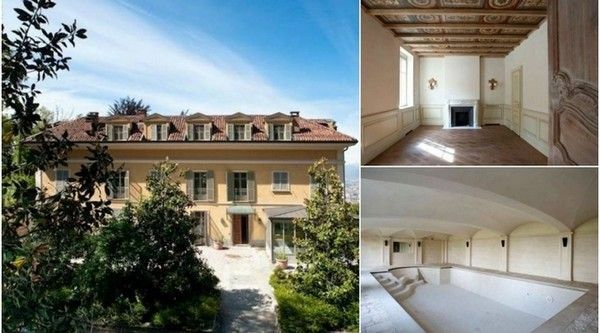 CR7 house is situated in the north of Italy, on the hills in the centre of Turin. The 2-connected villas are only accessed via a private road to avoid curious passers-by. Greenery is highly prioritized, either to provide fresh air or acting as shields against prying eyes of paparazzi. Located on the hills above Gran Madre de Dio, the mansion has a breath-taking view of the city and mountains nearby. Inside the villa there is a large garden for his children to play around, an indoor swimming pool, a gym and of course a soccer field. The house has 3 floors, 8 bedrooms and painted light hue. There’s hardly any leaked pic of the house interiors, but it will surely boast a hi-class and lavish style as in his old accommodation. So, the Portuguese professional footballer has chosen Italy for the next chapter of his life and might be the last session in his career. 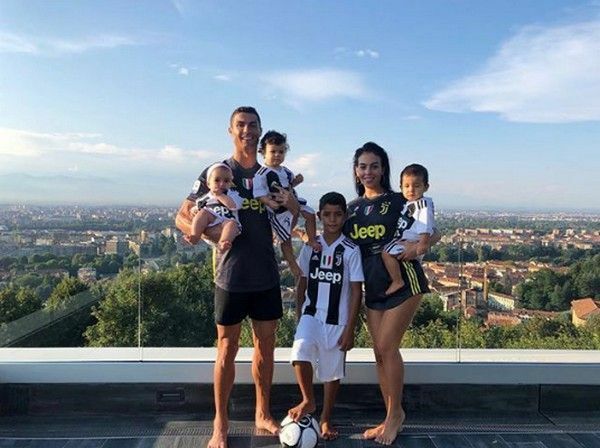 Till date, such pictures of Cristiano Ronaldo house and car, his family and other things show that this man is in his prime time, really enjoying his life. Let’s hope he would help guiding the Italian football club to the era of champions and trophies!